Time to geek out. 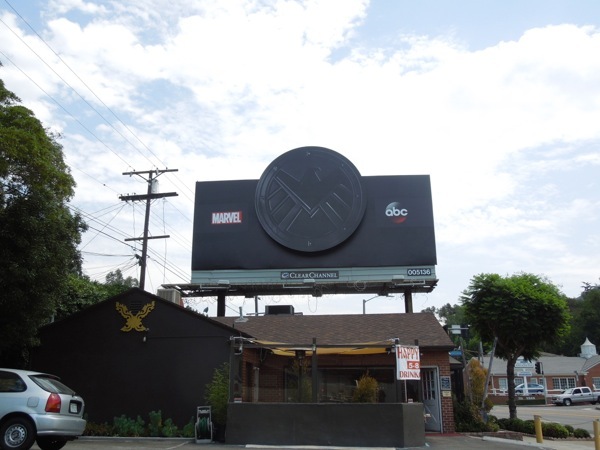 Here's indisputable proof that Marvel's cinematic universe is coming to the small screen later this year with the first teaser billboard for Marvel's Agents of S.H.I.E.L.D. Marvel's super-spy agency have been the common thread linking the first phase of Marvel Comics movie universe from Iron Man to Thor and beyond, and now Clark Gregg a.k.a. 'Agent Phil Coulson' is back from his seeming death in 2012's blockbuster Avengers movie to lead new missions of the shadowy Strategic Homeland Intervention, Enforcement and Logistics Division. 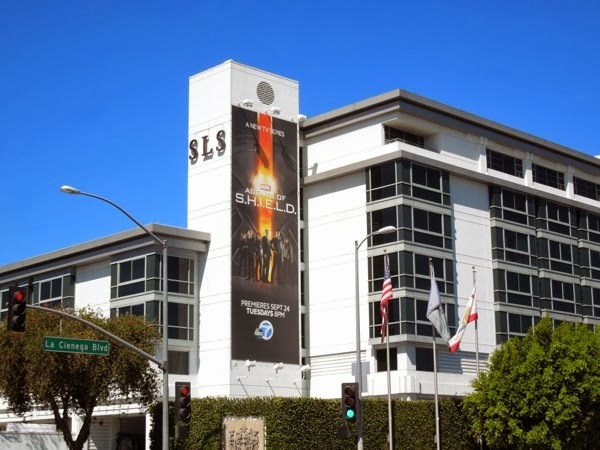 This imposing all-black S.H.I.E.L.D. 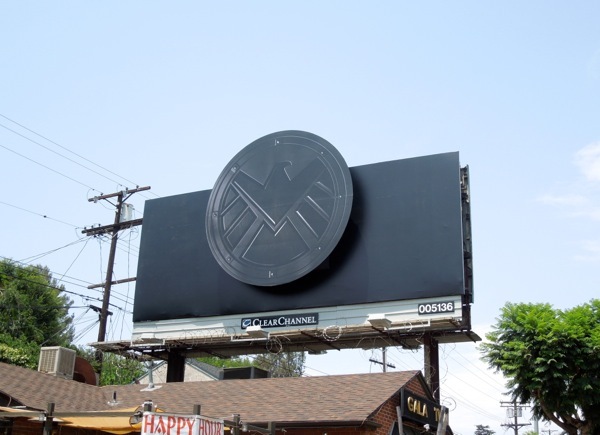 logo billboard will certainly please and tease fans, even if very little else is given away, like an official air date for the highly-anticipated ABC series. Check out the official trailer for the show to get you even more excited. There's quite some pressure to bring Marvel's rich universe and maintain the continuity in television format, but fortunately The Avengers Joss Whedon has been on hand to guide, write and direct the pilot of the new show (and with one of the biggest box office films of all time, plus fan-favourite genre TV shows like Buffy the Vampire Slayer, Angel and Firefly under his belt, that's quite a pedigree). 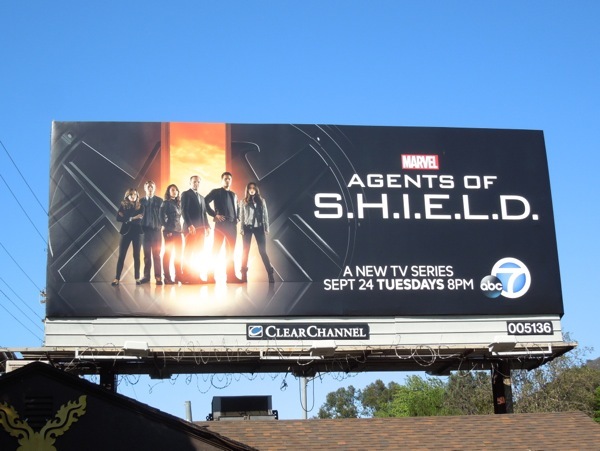 This teaser billboard was spied along Barham Boulevard in Los Angeles on July 1, 2013, and Daily Billboard is sure more secrets of the new show will soon follow (but only if you have Level 7 clearance). 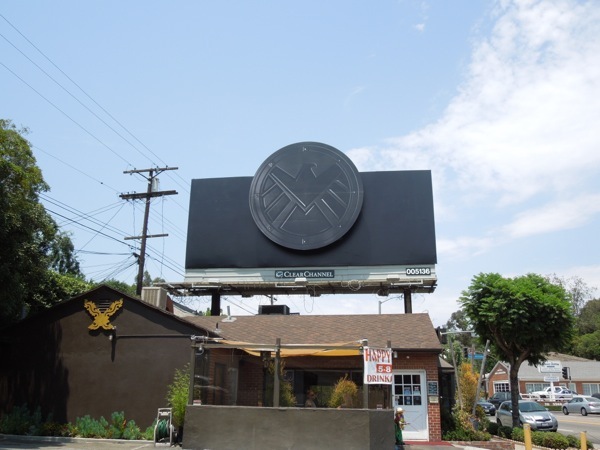 If you're a fan of the House of Ideas, be sure to also check out these cool Marvel movie billboards. It's time to protect the ordinary from the extraordinary. 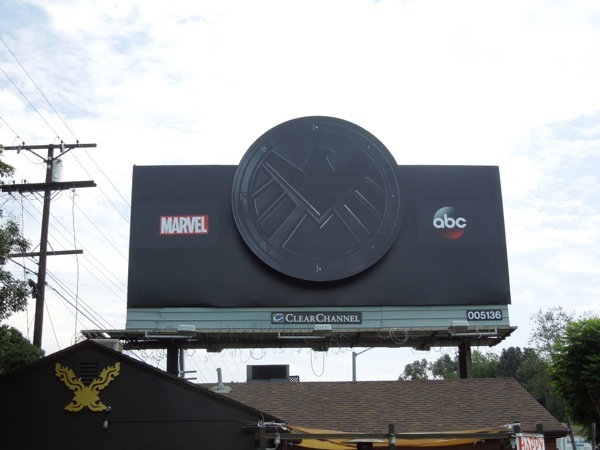 UPDATED: Here's a revised version of the same billboard with a Marvel and ABC logo added to help clarify things for people not in the know. This amended creative was snapped on July 3, 2013. What do you think, do you prefer this new version of the original all black, logo-less billboard? 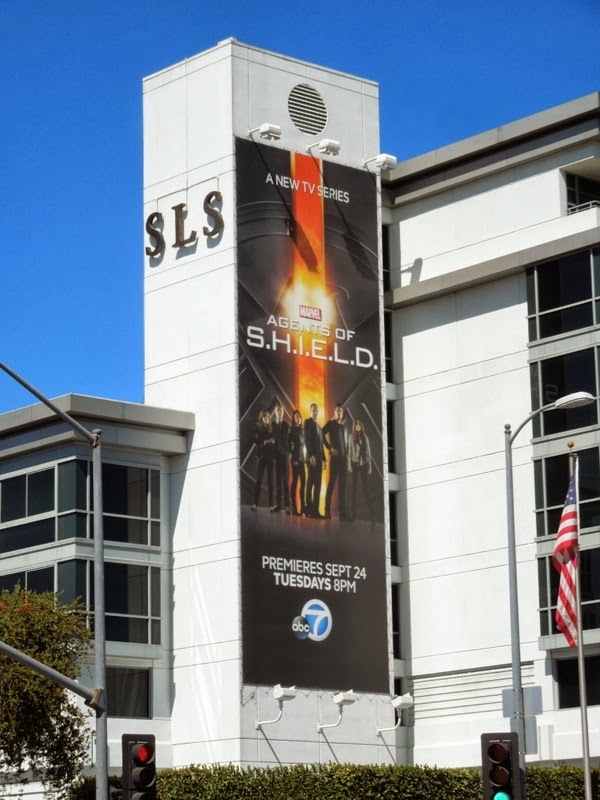 UPDATED: After all that cloak and dagger teasing, here's the official first season promo billboard for Marvel Agents of S.H.I.E.L.D. spied in the same ad location on August 21, 2013. 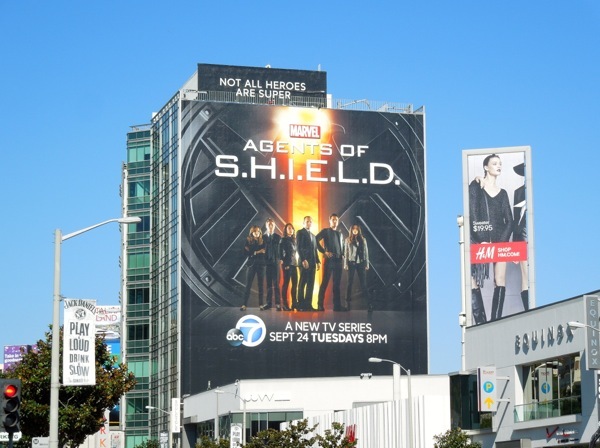 This creative implying that its a dawn of a new age, shows Agent Coulson and other members of his highly skilled team, and is certainly getting Daily Billboard excited for the series debut on September 24, 2013. 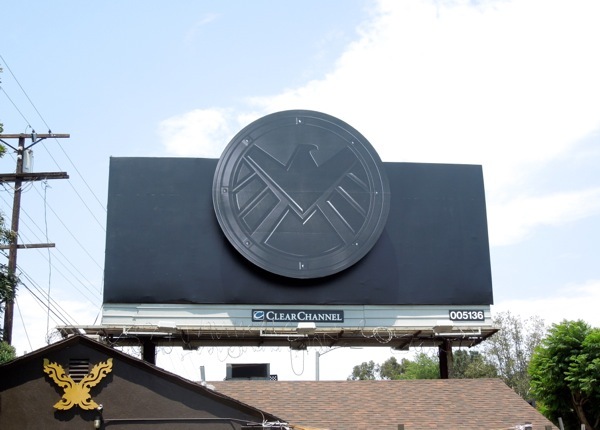 UPDATED: As a huge Marvel Comics fan Daily Billboard is extremely excited to see all these billboards for Agents of S.H.I.E.L.D. 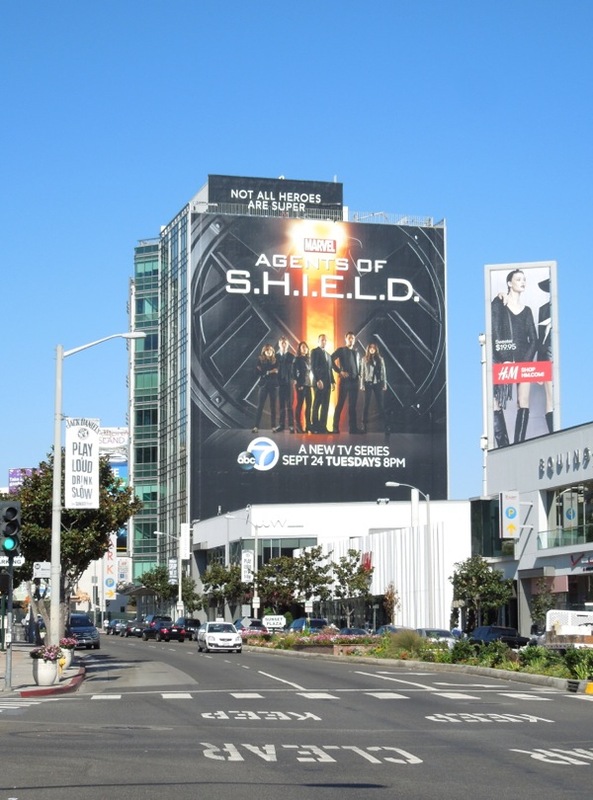 start to pop up all over L.A., so this giant-sized version appearing along Sunset Plaza is just icing on the cake. 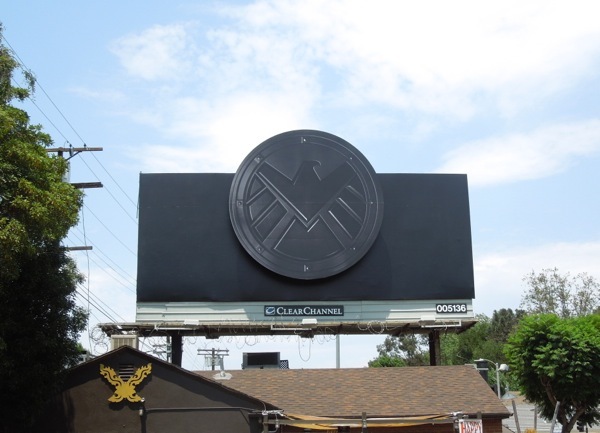 This awesome ad creative was spied on September 3, 2013 and Daily Billboard just hopes the series itself lives up to the promise of the movies that have preceded it (no pressure then). 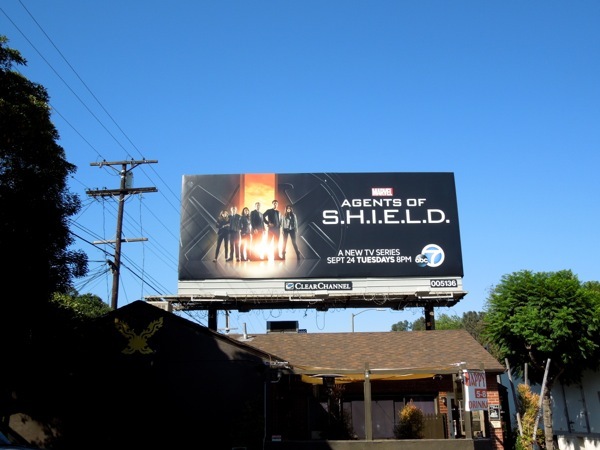 UPDATED: In Daily Billboard's humble opinion, Agents of S.H.I.E.L.D. got off to a good solid start with its pilot episode and obviously someone agrees, as the ratings were a bit of a Hulk smash with 11.9 million viewers tuning in. Let's see how many come back for a second installment. 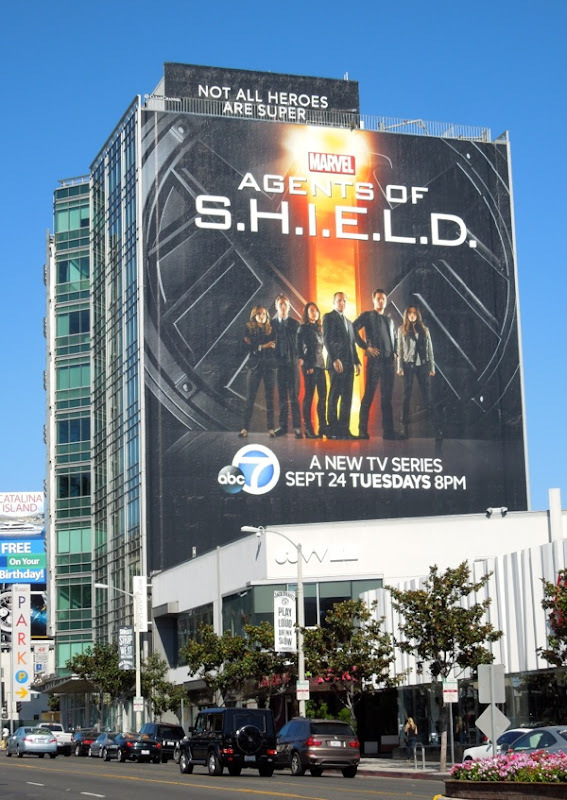 Here's another example of the cool series premiere billboards to be seen around the streets of L.A. at the moment, this one spied on the side of the SLS Beverly Hills Hotel along La Cienega Boulevard on September 26, 2013.